Have you ever sit-down and wonder why you have fewer customers visiting your office or business store? Why do people who visit your commercial office find it hard to stay long? Why people who have once visited or have been visiting your store or shop before stopped coming all of a sudden? What do you think might be the problem? No doubt, you are providing them with the best product and services, yet it seems you are in the same spot. 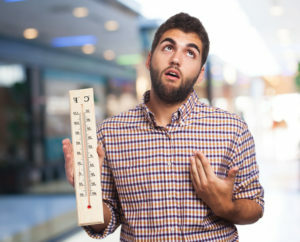 Have you ever thought of the profitability of commercial air conditioning? Are you offering your visitors the inviting climate that will encourage them to stay and purchase from you and even come back to always shop in your store? When your store is stuffy or hot, no one would be encouraged to stay. Imagine having a restaurant with lots of customers coming to eat. If you have a defective or no commercial heating and cooling systems, what do you think would happen? Your customers might get uncomfortable losing interest in your restaurant and crossing it out of their dining rotation. This could affect the progress and success of your business. No matter where your business or office is located in Northern Beaches, there is great profitability in investing on a commercial cooling and heating system. You would be doing yourself a great favor by installing or repairing your industrial evaporative cooling system. No doubt, in Northern Beaches and other areas, customers provide strength and energy to any business. So why would you neglect something that can drive them to your business? Commercial evaporative cooling northern beaches would help you maintain consistent comfort in your store or industry no matter how hot or cold the weather is. Choices differ from one person to the other but getting the perfect commercial heating and cooling systems for your industry or business would save you a lot of headaches. However, if you have air conditioners installed in your company or store already but they get defective, you can always call on an air conditioning repair company. One of the very best is the NorthShore Air Conditioning. For the installation of your commercial heating and cooling systems, there are air conditioning contractors available to see your aim achieved. Also, if you own a commercial property, some common problems might arise. Not cooling or heating properly –issues such as thermostat problems, frozen coils, and clogged filters could lead to poor heating or cooling. Leaking refrigerant- refrigerants are found within the coils of the industrial evaporative cooling. They are a liquid agent that makes air conditioning possible. If the refrigerant leak, the air condition would not work perfectly. These problems and much more can be tackled by employing the service of an air conditioning repair company. No doubt, commercial air conditioner repair is crucial to ensuring your system functions efficiently and properly. Compared to residential conditioning services, commercial air conditioner repair and installation need a higher level of professionalism and expertise. This is because they handle greater heating and cooling loads. So it is advisable you pick your commercial air conditioning contractor wisely! For a quote contact us: Click here.